Brian Kemp has released another ad firing off at his opponent Stacey Abrams - this time about where he stands regarding HOPE scholarships recipients and undocumented immigrants. The Kemp campaign tweeted a video Thursday calling Abrams, the Democratic nominee for governor, a "career politician with a radical plan to bankrupt HOPE by giving it to illegal immigrants." Each year, the HOPE Scholarship allows thousands of Georgia students to go to college. This has become a hot topic in Georgia's governor's race and voters are also picking their side in the discussion. "When I was in high school, my number one dream was to be able to go to college," said Raymond Partolan. He came to the U.S. from the Philippines when he was 1 year old. He's now one of the 21,600 Deferred Action for Children Arrivals recipients in Georgia. The program allows young immigrants who came to the U.S. illegally as children to apply for a renewable 2-year stay. "Went to elementary, middle, high school here in the state of Georgia, this is the only home I've ever known," he said. When the time came for him to go to college, he was met with a challenge. "There were all of these things that I wanted to do that I wasn't able to do because of my immigration status," he said. "We have to continuously excel in everything that we do just to have the chance of being accepted by American society and the people around us." Undocumented students are banned from the three top schools in Georgia: UGA, Georgia Tech and Georgia College and State University. For those colleges without the ban, DACA recipients have to pay out-of-state tuition - which is why the debate over the HOPE scholarship continues. 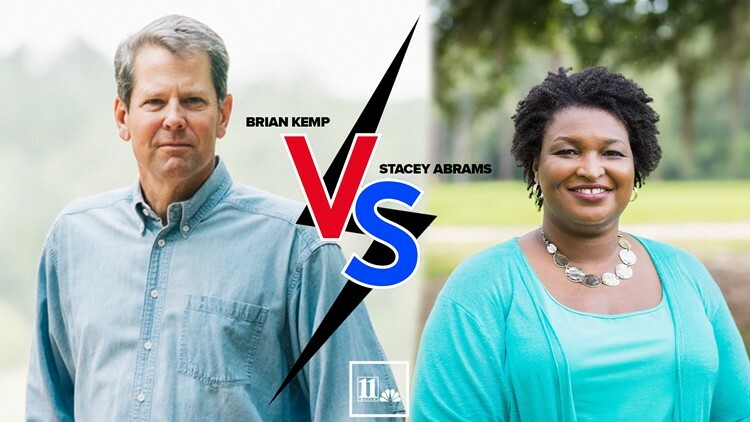 Abrams and her Republican opponent are on opposite sides. "Any Georgia student who graduates from our high schools and earns admissions to our colleges should be permitted to attend and receive the same treatment of their classmates."